An estimated 1.4 million Illinois workers are on the verge of a pay hike — a pay hike nearly nine years in the making. A proposal to increase the state’s minimum wage now heads to the state House of Representatives after passing through the state Senate on a partisan vote. The legislation, on track to also be approved by the Democratic-controlled House, would raise the minimum wage in Illinois to $15 per hour during a six-year phase-in. “If you live in this state and put in a hard day’s work, you should be able to afford to put a roof over your head and food on the table,” Gov. 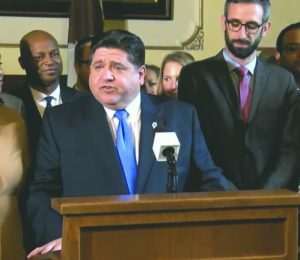 J.B. Pritzker said after state senators on Feb. 7 approved the minimum wage hike, one of his campaign promises. The state’s minimum wage now stands at $8.25 per hour. Pritzker said being on the cusp of a hike in the minimum wage is a result of workers in every corner of the state and organizations like Women Employed and Fight for $15 demanding to be heard. He credited business groups and business leaders who want to pay workers a living wage for being willing to take responsible steps forward. He said he was happy that senators didn’t alter the proposal, as some Republicans had sought, to lower the minimum wage outside of the Chicago area. “Workers in East St. Louis and Peoria, doing the same job, deserve to be paid the same wage as workers in Chicago,” Pritzker said. He said the six-year implementation period would allow businesses time to plan and adapt to the legislation. 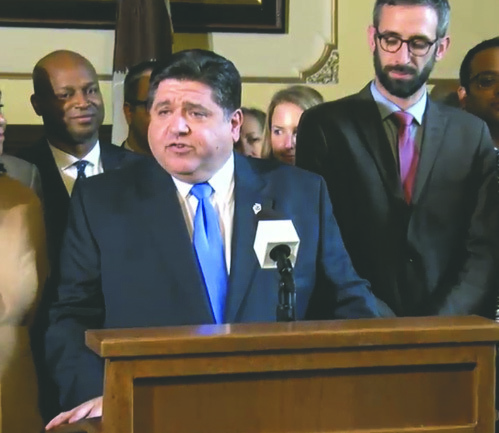 Pritzker noted that the bill has the backing of the Illinois Restaurant Association and will allow both restaurant workers and restaurant owner to succeed. Pritzker insisted that the state budget that he will propose later this month will be balanced and take the new minimum wage into account. He called the Illinois Senate’s passage of the legislation “a major victory for working families all across the state of Illinois” and urged members of the House to pass the legislation as well. Senate Majority Leader Kimberly Lightford (D-Maywood) directed efforts to get the measure through the upper legislative chamber. 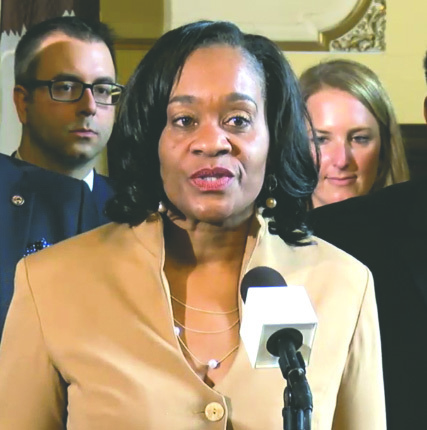 “The people who keep businesses going deserve a salary that allows them to take care of their financial responsibilities whether it is taking care of a family, paying off of student loans or simply covering their basic needs,” Lightford said. $9.25 per hour on Jan. 1. $10 per hour on July 1, 2020. $11 per hour on Jan. 1, 2021. $12 per hour on Jan. 1, 2022. $13 per hour on Jan. 1, 2023. $14 per hour on Jan. 1, 2024. $15 per hour on Jan. 1, 2025. 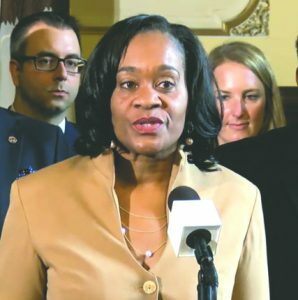 Lightford noted that a single parent working a full-time minimum-wage job qualifies for food stamps., Medicaid and, oftentimes, housing assistance. A $15 per hour minimum wage, she said, would lessen single parents’ and families’ reliance on assistance. The legislation also increases the minimum wage for individuals under the age of 18 but at a slower rate, going from $8 per hour on Jan 1 to $13 per hour on Jan. 1, 2022. Under Illinois law, workers who receive tips, like waitresses and delivery drivers, get 60 percent of minimum wage and receive the rest in tips or are supplemented by their employer. That dynamic will continue and means that the tipped wage would increase to $9 per hour by 2025.